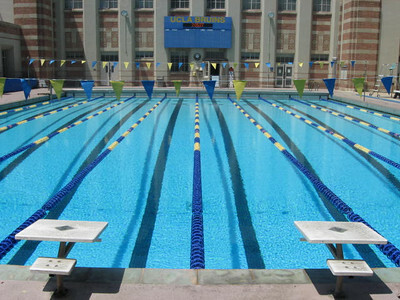 UCLA Recreation manages 16 of the University's recreational and athletic facilities offering recreation, sport, and numerous multi-use options for student and university events. The Bruin Fitness Center (BFIT) is a unique facility that offers an exclusive recreation environment for UCLA undergraduate students. Click here for facility hours. 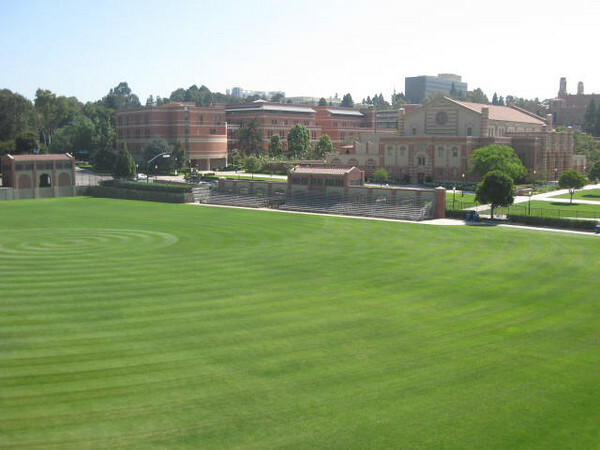 Located off Charles Young Drive, Drake Stadium is west of the John Wooden Center and north of the LA Tennis Center in central campus. Click here to view the Campus Map. For availability and to make a reservation, please visit our reservation site at http://reserve.recreation.ucla.edu. *Frank W. Marshall Field (the track infield) is only available for scheduled activities. Drake Track Stadium is a nine-lane 400-meter track with javelin, triple jump, long jump, high jump, and an infield events area. A handicap accessible unisex restroom is located on the track level. 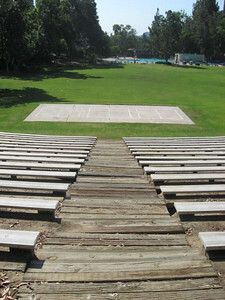 Spectator seating capacity is 11,700. Located off De Neve Drive, Hitch Basketball Courts are by Parking Lot 11 and Hitch Suites. The Intramural and North Athletic fields accommodate Intramural Sports, Club Sports, Open Recreation, Summer Camps, and various special event activities. Register for Intramural and Club Sports by visiting our Competitive Sports page. 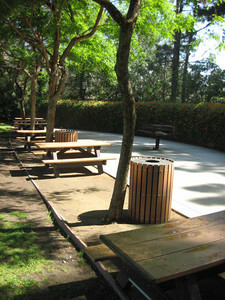 Located west of the John Wooden Center and north of Pauley Pavilion off Charles E. Young Drive in the center of campus. The John Wooden Center sits atop Parking Structure 4 on Westwood Plaza just south of Sunset Boulevard. It is in the heart of campus, at the intersection of Bruin Walk and Westwood Plaza, alongside the Intramural Field, Pauley Pavilion, the JD Morgan Center, Ackerman Union, and the Student Activities Center. - Strength & Conditioning Zone : weight training equipment, stretching mats, various cardio equipment including stationary bicycles, stairclimbers, ellipticals, treadmills, rowing machines, upperbody ergometer, and outdoor sports conditioning area. FITWELL staff available for assistance. 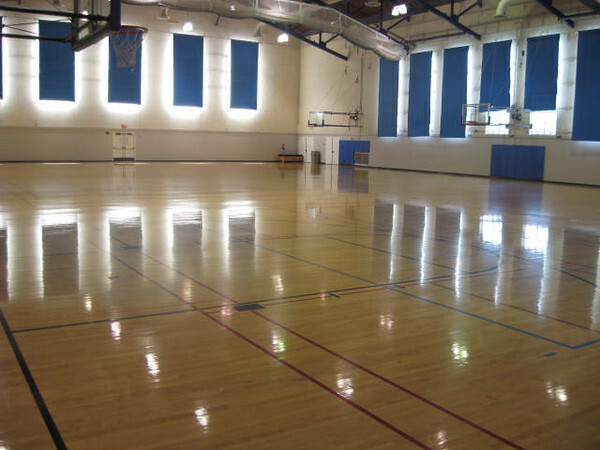 - Handball, racquetball, and squash courts. Call (310) 206-8307 for reservations. Must be one day in advance. No same day reservations. 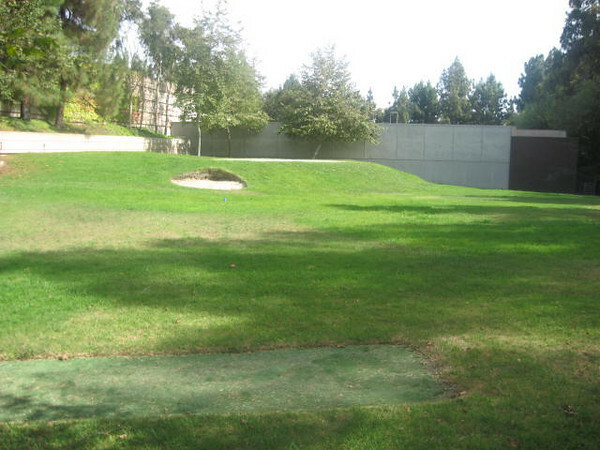 KREC is a unique facility that offers an exclusive recreation environment for UCLA graduate students and faculty/staff, with UCLA Recreation South Zone membership. Located on Kinross Avenue near the northwest corner of Parking Lot 36 in Westwood Village. Get Started with a K-FIT Pass Unlimited access to all yoga and fitness classes at KREC. Get your K-FIT Pass at KREC or the John Wooden Center, 1st floor, Sales & Cashiering. Classes are on a space-available basis. Participants must be present for warm-up. No late entry. No auditing. Appropriate athletic clothing and shoes required. Thick fitness mats provided. Bring your own yoga mat for yoga classes. If you would like to reserve your spot in class please click here and create an account. Court Reservations: Court availability changes daily due to Intercollegiate Tennis practices, matches, and other events. Reservations for prime hours are taken 12:00pm-5:00pm. 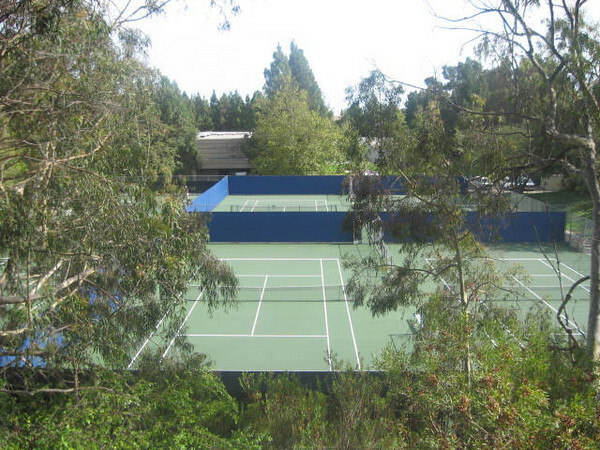 LATC offers 8 lighted tennis courts and the Straus Clubhouse. The UCLA Marina Aquatic Center (MAC) is UCLA's premier water-front recreation facility just 10 miles from campus in scenic Marina del Rey. The MAC is home to various kayaking, rowing, sailing, surfing, and windsurfing classes and trips, as well as the UCLA Crew Teams, UCLA Sailing Team, MAC Junior Crew team, and Youth and Junior boating programs. 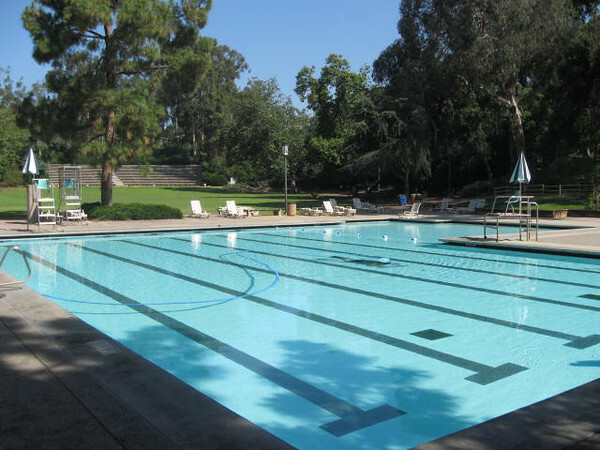 The Marina Aquatic Center is located in Marina Del Rey at 14001 Fiji Way and is accessible by bus, bike, and car. Since parking is scarce (particularly on weekends and special events), we strongly encourage biking, busing, carpooling to the MAC. Click here for more detailed directions and information about carpools, public transportation, and parking. Located off Westwood Plaza and Charles E. Young Drive, the North Athletic Field is above Parking Structure 4. 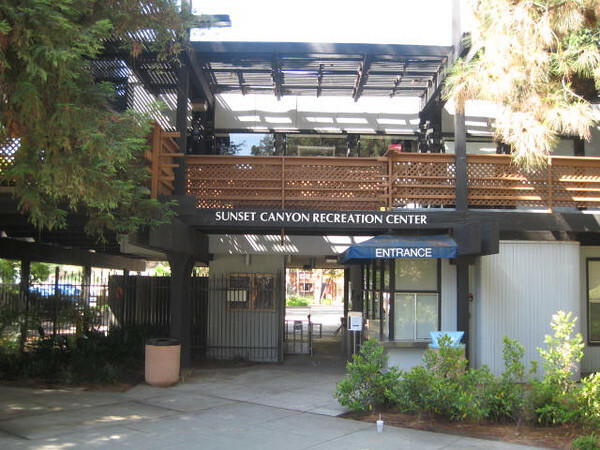 The Outdoor Adventures Center, home to the UCLA Bike Shop and the Rental Center, is located in the northwestern corner of the Wooden Center. During business hours, both of these services may be accessed either from the walkway along the north side of the Wooden Center or via the main entrance to the Wooden Center. If you are bringing a bicycle to the Bike Shop, please use the entrance on the north side of Wooden. For reference, the closest parking-lot to the Outdoor Adventures Center is Lot 4. Pauley Pavilion is regarded as one of the finest all-around collegiate facilities in the nation and has been the site of numerous illustrious events. 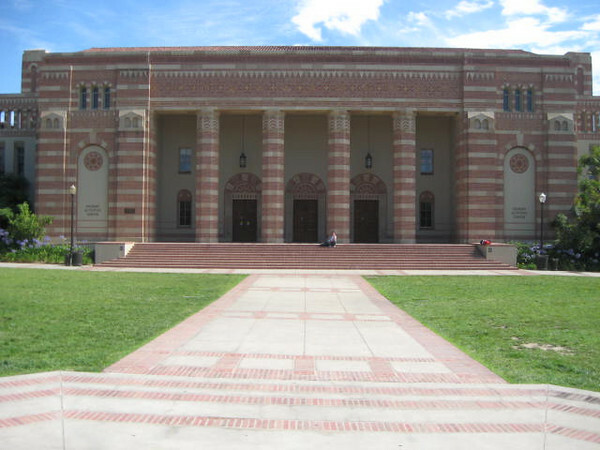 It is also the primary facility for UCLA men's and women's basketball, men's and women's volleyball, and women's gymnastics. Pauley Pavilion was introduced to the University at the June 1965 Commencement exercises, at which time it was dedicated and named for Regent Edwin W. Pauley, the principal donor to the building fund. The arena underwent a $136-million renovation from 2010-12. New Pauley Pavilion contains seating for approximately 13,800 spectators. Located in the heart of campus between the Morgan Center, Intramural Field, and the Acosta Center. Ticket information for men's and women's basketball, and women's gymnastics can be found at uclabruins.com or by calling UCLA's Central Ticket Office at (310) UCLA-WIN. Students admission and Den Sports Pass information can be found here. Click here to view the Pauley Pavilion arena seating chart for basketball. At the Rock Wall, located on the first floor of the Wooden Center, members of UCLA Rec are invited to boulder during Open-Recreation Hours. Bouldering is a type of climbing that is done close to the ground without ropes. People at all levels of experience are invited to climb at the Rock Wall. Climbing shoes may be rented for a small fee and they are available free of charge on one's first visit to the wall. For questions, please email us at oac@recreation.ucla.edu. Located east of the Wooden Center and north of Ackerman Union. The Student Activities Center houses a gymnasium, some intercollegiate sports, locker rooms, showers, an outdoor swimming pool and multiple on-campus organizations. From Sunset Blvd (going eastbound) turn right onto Bellagio. Turn left at the second stop sign. At the next stop sign, turn right into Sunset Canyon Recreation Center. Equipment available for check out: volleyballs, swim paddles, kickboards, pull buoys, and fins. Located on the western edge of the campus, north of the Southern Regional Library and south of Hitch Residential Suites. For availability and to make a reservation, please visit our reservation site at http://reserve.recreation.ucla.edu. .